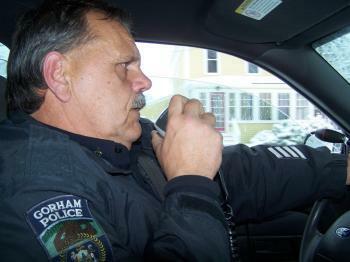 Longtime Gorham Police Officer Wayne “Pooch” Drown was honored with the Larry Gross Cop’s Cop Award by the Maine Association of Police at its 20th annual awards banquet Jan. 26. “This yearly banquet is held to not only show appreciation to the officers, past and present who serve, but it also recognizes those members who represent their department, MAP and the profession with outstanding performance in their duties,” the association announced. Association President Kevin Riodan of the Old Orchard Beach Police Department presented the award. 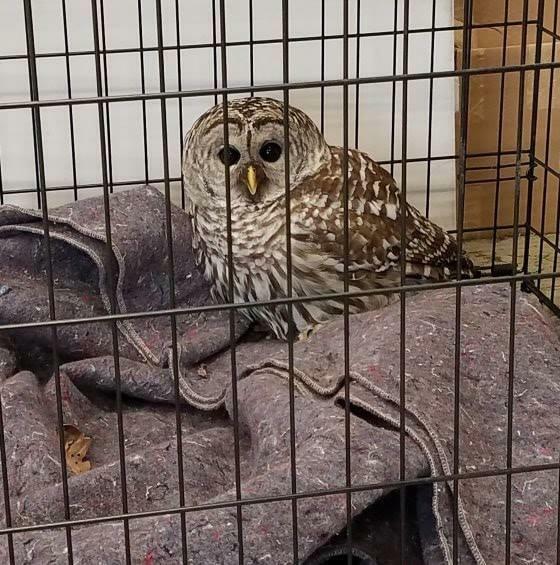 A valiant Gorham Police Department effort to save a barred owl on Dec. 29 ended sadly when the injured bird had to be euthanized, a spokeswoman for a bird rehabilitation group said this week. The owl had “multiple fractures in the shoulder girdle,” Diane Winn, a co-founder of Avian Haven, said in an email this week to the American Journal. After Gorham Police received a call that an owl had been hit by a car on Narragansett Street, Officer Michael Hinkley brought the owl to the station and contacted Avian Haven in Freedom. An initial update on Gorham Police Department’s Facebook page reported that the owl had not sustained serious injuries. “Nothing obvious could have been discerned by simply looking at the bird; the fractures showed up very well on x-rays, however. The collective damage was well beyond any possibility of repair, and the owl had to be euthanized. I’m so sorry,” Winn said. The Bureau of the Fiscal Service reported Jan. 31 that the U.S. public debt was $21,982,423,036,475.23. A barred owl hit by a car in Gorham suffered serious injuries and could not be saved.